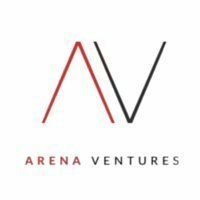 At Arena Ventures we invest in startups in their earliest days and provide growth capital when they're ready to scale explosively. As our name suggests we invest in the women or men in the arena and make our greatest decisions based on the quality and character of the founders and their team. We only invest in driven founders with a bias towards action - founders who execute relentlessly and without fear of failure; founders who practice their craft tirelessly and drive their teams forward with equal enthusiasm towards a great vision. Second to founder quality is the nature of the startup and company mission. We start by considering the problem you're solving or the opportunity or capability you're creating. We prefer big ideas - ideally unique or crazy ideas with the opportunity to change the world or disrupt huge markets. We'll look at your product, early traction, and markets but ultimately our decision is based on the quality of the founding team. From us you can expect speed, curiosity, conviction, commitment and capital. From start to finish we'll let you know if we're onboard within days or weeks. Each of us are innately curious and we'll seek to understand you and your business in great detail and continue to learn as you scale. And when we do invest we'll do so with conviction and commitment; meaning you'll have our undying support even in your most difficult hours. We are hands on investors - helping with sales, recruitment, product and whatever it takes to help you win. In terms of capital we provide early stage venture and growth capital. We primarily invest in the seed stage and earliest rounds of a startup with $100k to $1M. At the seed stage we will lead, colead or simply participate as every deal is unique. We reserve a significant amount of our early stage fund for followon investments and we will always invest in your next funding round provided you have a lead investor. And years down the road, when you've found clear product/market fit and need to rapidly scale the company, we can invest massive amounts of capital. Arena Ventures was featured in a VatorNews article: "Video: Arena Ventures' Paige Craig on crowdfunding"
Arena Ventures was featured in a VatorNews article: "Meet Paige Craig, Managing Partner at Arena Ventures"